Sales is an industry that probably benefits from conferences the most. And we always say sales professional should always look to attend as many conferences as possible. As such, here is a list of 15 best sales conferences in 2018. Not only are we able to find out new trends and broaden our knowledge by attending conferences, but we are also able to meet a lot of like-minded people and maybe a few future customers. Owing to lead generation you can even find the contacts of the people attending the same conference as you, reach out to them beforehand and schedule a meeting. That is why sales professionals should attend at least one conference per year. It’s up to you (and your budget) to decide which one. 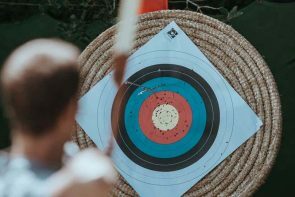 In 2018, sales will have to pay attention to tech if they want to increase revenue and most conferences are focusing on that topic. Why? The AA-ISP family returns to Silicon Valley for the all-new Digital Sales World 2018 series. All levels of sales reps and leaders including SDRs, BDRs, Sales Executives, Managers, Directors, VPs and Sales Enablement should attend this sales conference. Digital Sales World will present the “new way of selling and leading”, as they like to call it, around current topics and trends such as social and digital selling, use of video and texting, attracting and retaining millennials, as well as training and coaching. 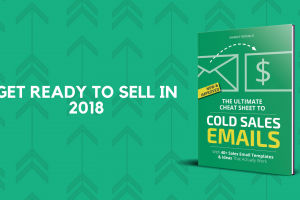 The new era of Digital Selling is upon us – don’t let it pass you by. Who? Some of the speakers will be Liz Johnson, Director of Talent & Professional Development Programs at Oracle, one of the sales superstars Lori Richardson, as well as Amit Bendov the CEO of Gong. Why? It is getting impossible to think about sales without thinking about SaaS. That is why during these three days, SaaStr will host over 250 speakers. This is their fourth year and they will talk about doubling your sales in 30 days, building a winning sales culture and classic SaaS product and engineering mistakes. Who? Some of the speakers include Dharmesh Shah, CTO & Founder of HubSpot, Jason Fried, CEO of Basecamp, and Peter Arvai, CEO of Prezi. Why? The 10X Growth Conference is exclusively for forward thinkers, trailblazers, so-called 10Xers, entrepreneurs, sales professionals and business owners who seek to set the pace for the marketplace to follow, who do not wait for the “next thing” but they create it. All of the 10X Growth Conference expert speakers are highly vetted and hand selected by Grant Cardone, sales expert, personally. Who? Host Grant Cordone will be omnipresent, but you can also hear Tim Grover, trainer of Michael Jordan and Kobe Bryant, for example. Also, expect a performance by a rapper Flo Rida. Why? First of all, it’s organized by SalesHacker. Second of all, Revenue Summit sales conference gathers everyone who’s anyone in sales. What is most important, you will learn the latest tactical tips on how to ramp your reps, grow your sales team, measure their results and explore all the sales technologies you need to grow revenue. Who? Speakers include Godard Abel, co-founder of the famous Go2Crowd website, and Amit Bendov, CEO of Gong.io, who will be present here as well. Why? The sales authority SalesLoft organizes another superb sales engagement conference for modern sales leaders. You should attend if you want to gain sales insight from the best thought leaders in the industry and foster relationships that will help your business thrive for years to come. Who? Besides numerous experts from SalesLoft, Rainmaker will include speakers such as Sangram Varje, Co-Founder of Terminus. Why? This years’ famous Sales 3.0 conference will focus on the topic of sales innovation and digital transformation. Digital transformation demands that your sales team adapts so they can stay relevant in a rapidly changing marketplace. Attendees will learn from sales VPs from industry-leading companies, technology influencers, analysts, and management and leadership experts. Who? Some of the speakers include Keith Cratch, chairman of DocuSign and Jared Litwin, Senior Director at SalesForce. Why? With access to over 50 in-depth sessions, Summit is the best place to learn about GTM strategy, process design, plays, organizational issues and technology. At Summit, you’ll get an inside view of the specific best practices that companies like Google, LinkedIn and Twilio use to achieve scalable revenue growth. You can also network, collaborate and have an incredible time with over 1500 executives and practitioners. Who? Aside from many experts from TOPO, you will be able to hear, among others, and Kelvin Gee, Sr. Director of Modern Marketing Business Transformation at Oracle. Why? Sales Innovation Expo is the largest and most important event for professional sales leaders in Europe. With some of the best-known names, thought leaders and industry experts offering cutting-edge advice and demonstrating the latest technologies, products and services. This event is sure to equip Sales Directors and Managers with the latest systems and tools to improve sales performance. Who? Confirmed speakers include Seema Menon, Director of Sales for Sony Pictures Networks and Rita Mokbel, Global Sales Manager for Ericsson. Why? There are optional Pre-Event Workshops that will enhance your Summit experience with hands-on approach lead by facilitators who are experts in their field. Workshop topics include Leadership Skills, Managing Millennials and Using Office 365 to Increase Productivity and Team Performance. During Large Group Learning, sales experts from a variety of companies and backgrounds will present the challenges and issues facing our profession, while providing actionable tips for you to solve these challenges. Small Group Workgroups/Breakouts offer attendees the chance to personalize their Leadership Summit learning path. The Solution Provider Expo provides attendees with the opportunity to meet with today’s leading Sales Services Providers and learn first-hand about their various products and service offerings that may help you or your organization improve performance and effectiveness. Birds-of-a-Feather Roundtables help you to connect with like-minded individuals on common topics of interest. Why? Unbounce’s handpicked speaker lineup brings you the perfect mix of digital marketing topics in a streamlined, single-track event. Engage in hands-on Unbounce landing page workshops and leave the conference with improved skills and knowledge. The CTAConf environment is about problem solving, knowledge sharing and improving your online marketing. Share ideas and build relationships with advanced marketers from around the world. Breakfast, lunch, snacks, activities, afterparties, swag, conference notes and full access to the recordings of every session will be available to all attendees. Why? HubSpot’s Inbound conference is without a doubt the best sales conference out there. Some of the previous speakers include Michelle Obama, John Cena and Piera Gelardi, Co-Founder of Rafinery 29 if you need more convincing. They found the perfect way to mix business with pop culture and it is working wonders. HubSpot is the best in their industry and they gather only the best players in the sales game. Why? Dreamforce sales conference prides itself on teaching salespeople how to close more deals faster and how to step up their sales game. As a leader in tech-powered sales, they will talk about how the technology shapes the future of selling, how intelligence can help you in every step of your sales process. But don’t worry, you can have fun, too. Last year there was a Lego City. Who? 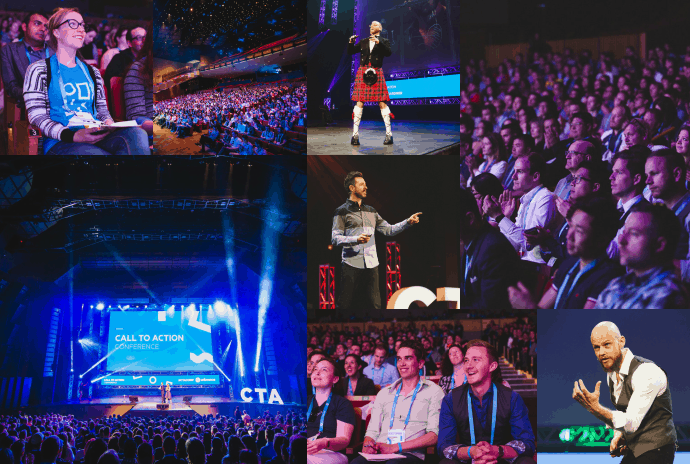 Organised by the main player in the business, Salesforce, this conference brings speakers such as Michelle Obama, Gary Vaynerchuk and Tim Ferriss. Unfortunately, agenda for 2018 and speakers have yet to be announced. Why? Created just for B2B marketers, B2B LeadsCon’s Connect to Convert conference has unprecedented classes, workshops and content for marketers who sell business products and services to other businesses. B2B LeadsCon’s Connect to Convert is about driving revenue and understanding what actions within marketing in collaboration with sales are creating the highest ROI. Why? In a fast-moving environment, B2B Sales and Marketing leaders must constantly evolve the way they sell and understand changes in the way their customers buy. This event will feature large and small sessions designed to boost attendees’ understanding and ability to adapt to the changes facing B2B commercial teams today. Why? Sales Summit happens in different locations throughout the US, so you can pick the one that suits your needs best or is closest to you. Sales Summit gathers the most audacious and thought-provoking speakers in the sales industry, providing leaders and executives in sales, sales operations, sales enablement, and marketing emerging strategies, the latest sales technologies, best practices and insights to foster improved sales performance and results. Who? Some of the speakers will be Rebecca Croliss, director of marketing at HubSpot, and Daniel Lemin from Convince and Convert. We highly recommend that you visit at least one of these top sales conferences, because the evolution sales are seeing due to rapid tech development is something you should know about. If you need help finding contacts for any of the above-mentioned conferences or some others that we have not listed here – we would love to help.